Innovative Interior Designs: Moving Day! Tonight's post is about an iconic piece of architectural history that is getting ready to move. 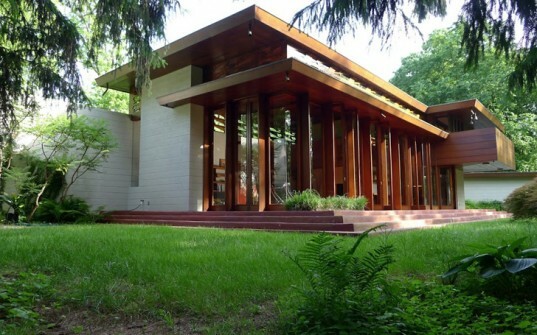 The Beautiful Bachman Wilson House in Millstone New Jersey, created by Frank Lloyd Wright may be packing up to move to Italy. The current owners are looking for a buyer to move the home to Fiesole, which is a town that Wright lived in just outside of Florence in 1910. Tip of the day: Add living art! Can you guess this Famous Set? Do you need a NEW getaway space? 25 coolest buildings of the year! Wow what a sweet idea!